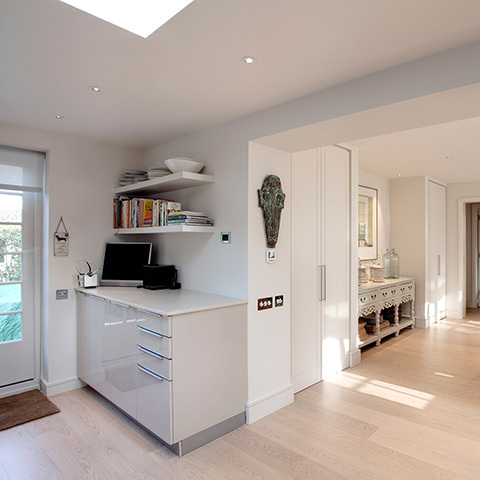 Our brief: the complete internal and external refurbishment of a Grade 11 listed town house. 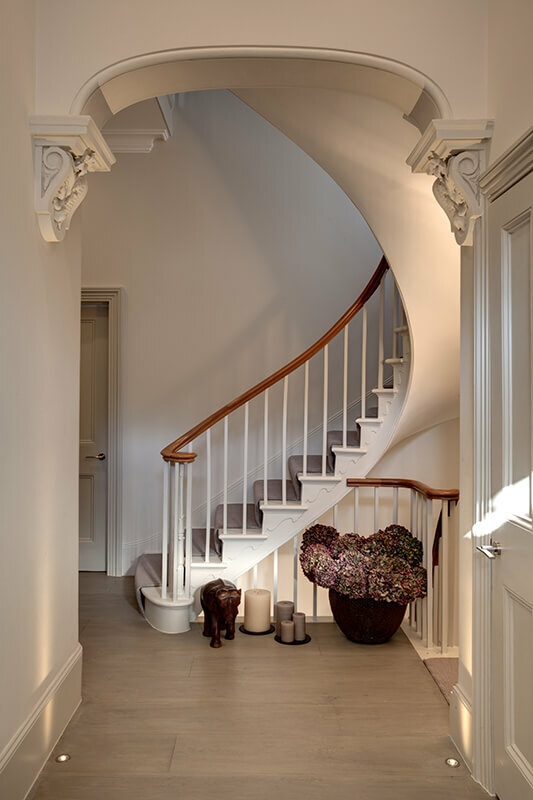 Before renovations began on this elegant late 19th century Grade 11 listed property, the entire building was stripped back to ensure all original period features could be preserved. 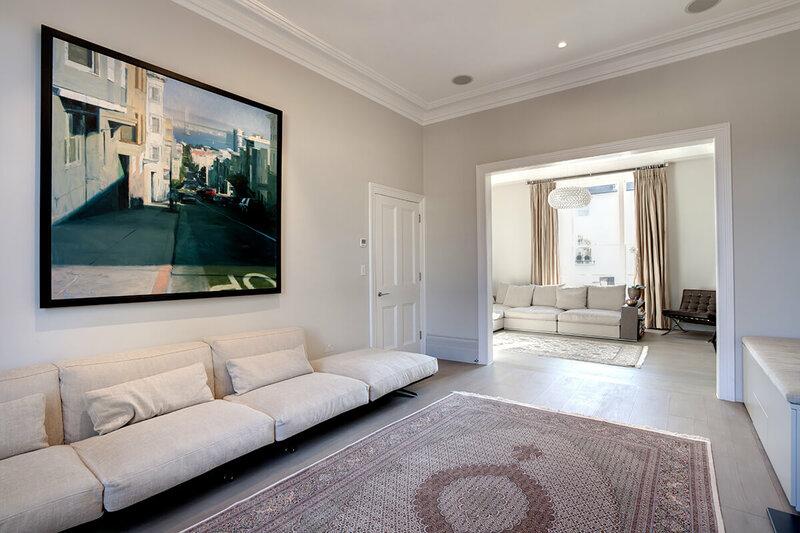 Ornate ceiling arches, curved and carved wooden balustrades and marble fireplaces were carefully restored to their former glory and blend effortlessly with the chic contemporary finishes and impeccable interior furnishings of this graceful, contemporary home. 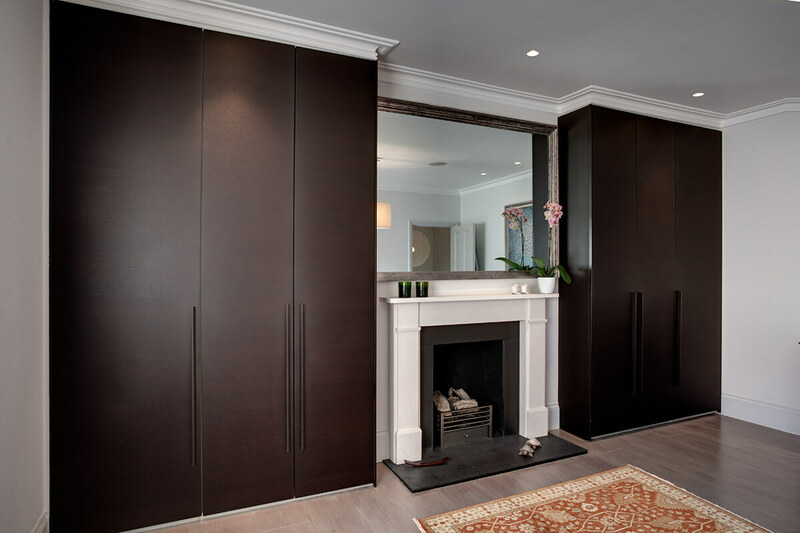 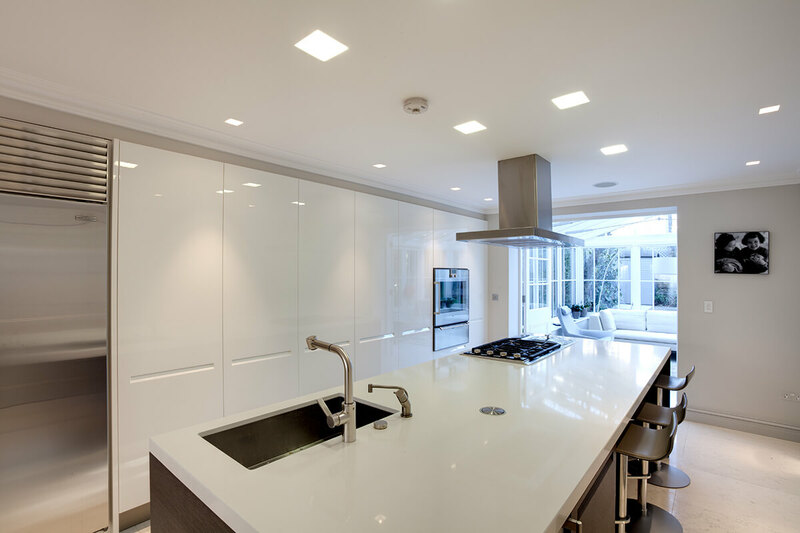 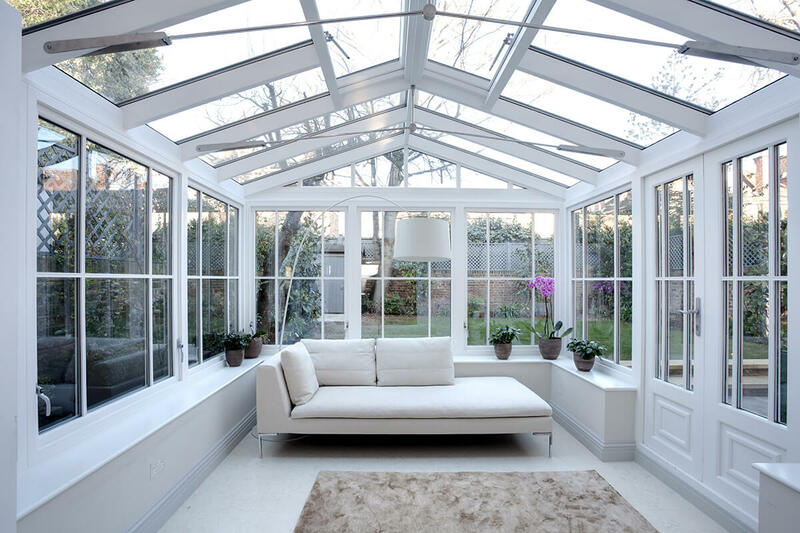 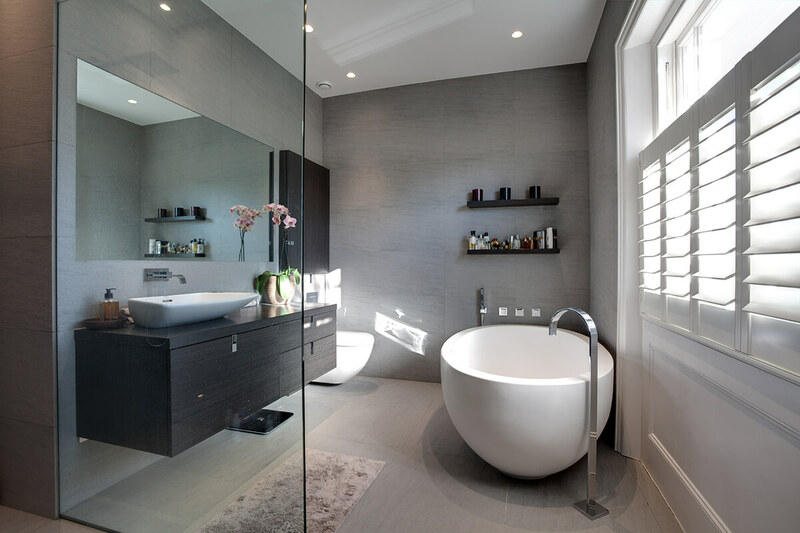 Internal re-modeling included the fine, bespoke high grade Lutron kitchen concept (which creates and enhances interior design through light), customised marble bathrooms and the impressive conservatory which extends into the beautifully landscaped garden. 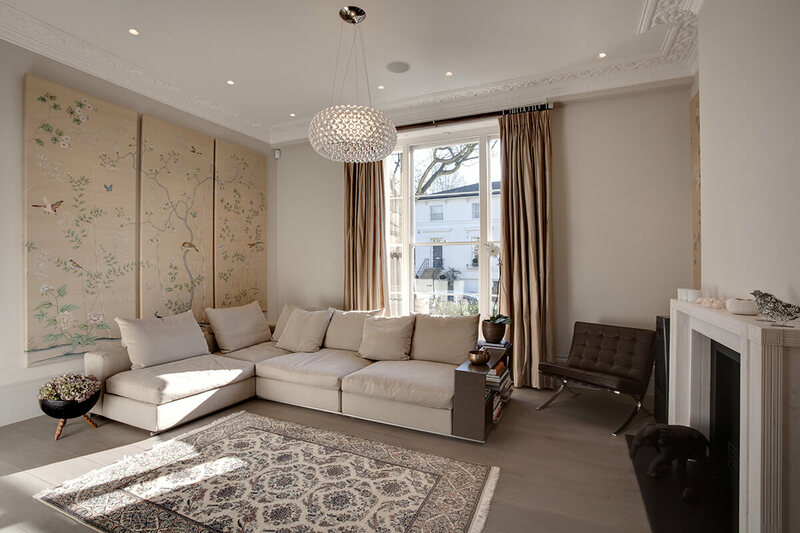 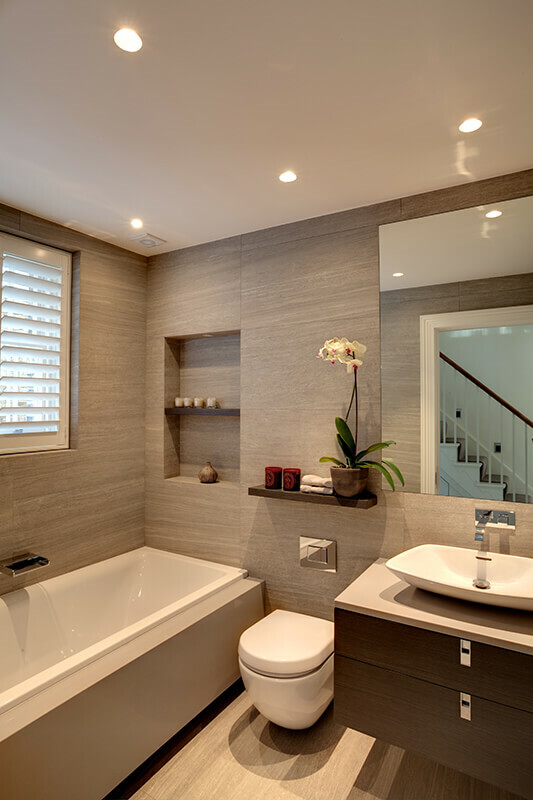 Further renovations included cutting edge smart home technology with fully integrated audio visual sound and lighting systems, offering the ultimate comfort, design and contemporary style. 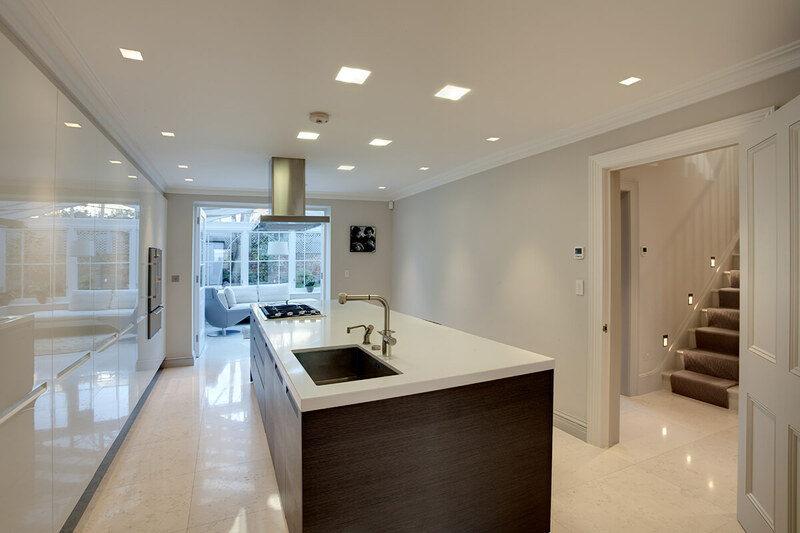 Structurally, a new basement and roof were constructed. 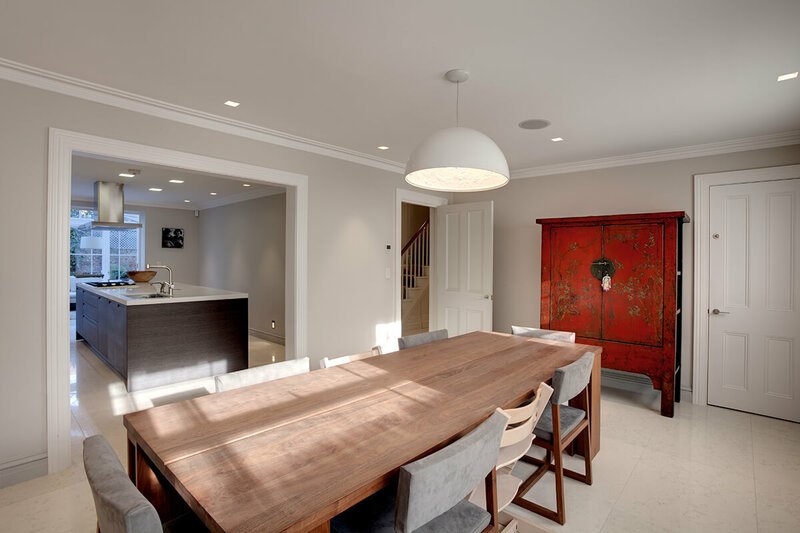 With underfloor heating throughout, it was necessary to customise the wooden floor which was extremely wide panelled flooring, stained, carbonised and distressed to give a superb finish retaining the property’s original character. 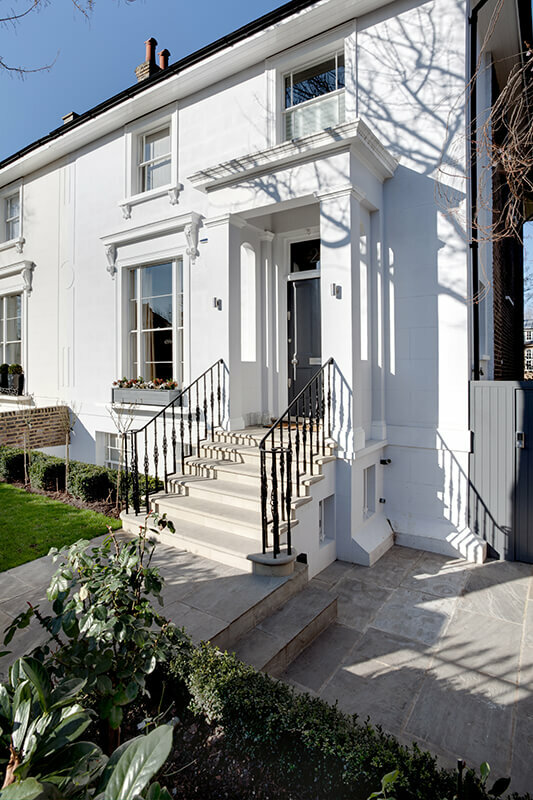 The building has been returned to its former glory and is now a contemporary, elegant and comfortable family home.